"It's like she never left," says guitarist Lindsey Buckingham. 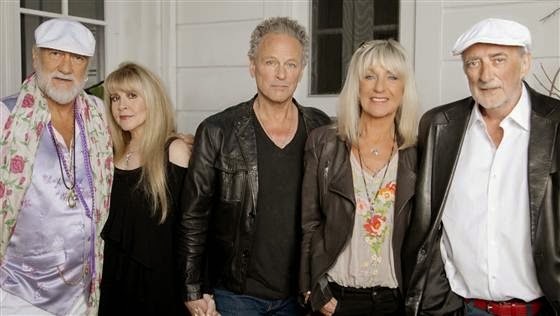 SANTA MONICA, Calif. — "It's like she never left," Lindsey Buckingham says about Christine McVie's return to Fleetwood Mac, the band that sold 45 million copies of 1977's Rumours and spawned almost that many rumors during its tumultuous 47-year run. 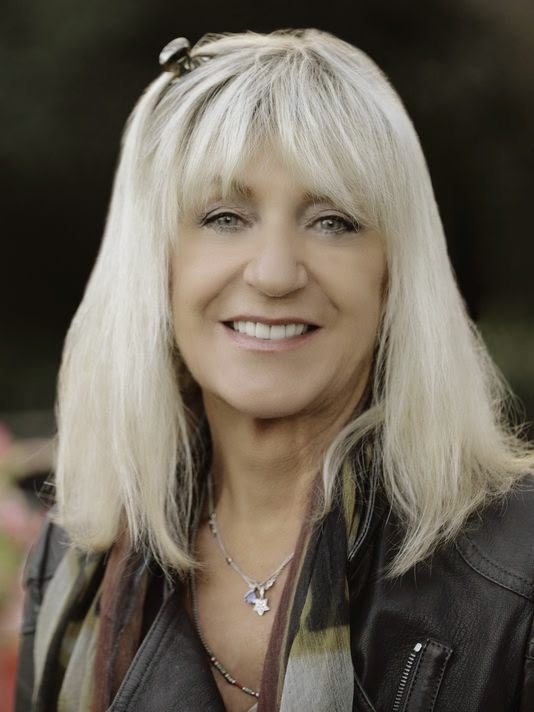 Here are the facts: After leaving the band in 1998, singer/keyboardist McVie has rejoined, completing Mac's most popular, successful and creative incarnation. A world tour is in the works, with U.S. dates starting Sept. 29 in Minneapolis, 17 years after this lineup last hit the road. Tickets go on sale April 4. McVie and Buckingham have been crafting songs for a new album. The last studio release to feature full participation from all five Macsters was 1987's Tango in the Night. "We've only been in the studio a week, and it's been really beautiful," says Buckingham, 64. "I have very high hopes for all of this. It took getting into the studio before we started to see things unfold in an effective and comfortable way. Christine was not sure how her voice was going to be. It will be a little bit of a slow process with her piano chops. But all the stuff inside her is still intact, and she's getting in touch with a process that's been lying dormant for a while." During her 15-year retreat, "there were times I didn't touch a piano for months," says McVie, 70. "There were dry spells, but I'm not worried about it. The chemistry is great. Obviously, I've got to relearn all those songs to get my muscle memory working." Drummer Mick Fleetwood, 66, says McVie's muse and skill required a simple kick-start. "In the past, Chris would get into the creative mood when we were actually going to do something," he says. "It hasn't gone away. It was waiting to be accessed and just needed to be switched on. "Chris has been in a very different world for years, but things that were daunting for her are going away," Fleetwood says. "We're recording at The Village (in Los Angeles), where we made Tusk, and it's like nothing ever changed." The band has remained a formidable draw during McVie's absence, ranking 10th last year in Billboard's moneymakers tally with earnings of $19.1 million. Her homecoming is stoking Mac fever. "I know it's huge and people are thrilled," Fleetwood says. "There's a whole litany of songs we haven't done live in 20 years. If I were a fan, which I am, I'd have a lot to look forward to." That includes the return of bassist John McVie, whose cancer​ diagnosis in October forced the band to scrap dates on last year's world tour. "He's threatening to come into the studio any day," says ex-wife Christine. Fleetwood adds, "His prognosis is good. He's such a dude, so not like me, not a drama queen. 'I'm ready,' he says. So much grace and no huff and puff." The timetable for new singles and an album depends in part on when Stevie Nicks rejoins her bandmates in the studio, Buckingham says. "Stevie's been not sure how she wants to approach recording or when," he says. "Mick, John and I have cut great stuff with (producer) Mitchell Froom and now I'm producing Christine's stuff. "The next album will be a mix of things. We've done some strange things with one of Christine's songs already. It's going to sound like Fleetwood Mac but not overly retro. It's not that we're making any bold effort to sound like somebody else. Some of what we've done in the past has reference points that have come back, and what might have seemed retro is more relevant in today's market." Sometimes I think that "some" of the tension between Stevie and Lindsey is manufactured. Not always in the past, that's for sure, but they are well aware of how their incessant talk of drama creates some interest about the "tumultuous Fleetwood Mac." I'd always hoped if they recorded again, that they would do more of what they did with the Fleetwood Mac record. Where for many songs they worked and sand TOGETHER. The harmonies were so organic. Stevie needs to grow up. Its makes you wonder what Stevie's is thinking and what she wants to do. Maybe she does not have any martial that she likes to bring to the table or does she not want to conflict with Lindsey on how her music work is produced. Or is she in a writing stage for some new songs right now . I hope its more that than anything else. Lets hope for the best. I believe she will come to the table with something. Stevie's done a lot of stuff solo where she "reinvented" herself, or took herself further from the songs she recorded and performed with Fleetwood Mac. She's also been the most successful, which explains in part why she can perform two or three solo hits during Mac shows. (Note I said "hits".) Lindsey, given the chance, would most likely jump at the opportunity to play any of his solo songs live in a Mac setting (witness "Go Insane"), and Christine has hardly done any solo albums compared to the other two (one every decade or so?). Stevie's been going on about how she's been pushing for/wanting Christine to return.. Now it's time to put her money where her mouth is. Get into the damn studio, Stevie! I definitely agree. Stevie sounded so excited for Christine to return and for the group to be back together - and now she's dragging her feet? Hmm. Also, I feel like Stevie has to definitely be aware that people would be pretty upset if Christine rejoins, the group goes on tour, AND there's a new record and yet there isn's any new great Stevie material. I watched the Today Show interview with Carson Daly this morning; when Christine sold all of her keyboards and equipment back then, Stevie went around and bought up a lot of her instruments! :'( So don't be telling me there's a feud between Stevie & Christine; they love each other very much! Great news that Christine is coming back and I'm even happier to hear John is doing well. I've always been a big fan of Stevie's, but I'm getting really annoyed/frustrated/pissed-off with her attitude about writing a few songs and recording them with the band. Just do it, Stevie! Stevie will be in the studio! Maybe, she does have a personal life! She must be getting ready for her appearance with Lady Antebellum at the ACM awards! I too am so happy that Christine has come home and John is getting better. Let's give Stevie a chance to do a few of her own things! The entire Mac is back! So, everyone calm down! I love Stevie too, but she certainly doesn't release much new music for somebody who professes to be such a prolific writer. She should have released dozens of albums of new material (not greatest hits packages) by this point in her career. She won't record with the Mac, but the reunion means no new solo stuff too.... lots of wasted opportunity with her. Speculation is pointless regarding Stevie's contributions to this new project, but I'm sure Stevie has plenty of material ready to go. There are probably demos laying around from the IYD sessions that were never used, or demos she's written in the past couple of years. Just because she didn't contribute anything new during the EP sessions doesn't mean she has nothing to give. I would also bet that with Christine back in the fold Stevie is more amenable to giving new material to Fleetwood Mac. As for production, the IYD doc showed Stevie is pretty vocal about the arrangement of her material. I don't think she would have a problem telling Lindsey (or Mitchell Froom) if she doesn't like how something sounds. If the album is going to come after the tour perhaps we'll get another EP (crossing my fingers - again, we really don't know what they'll do) prior to give us all a small taste of their new sound. The Mac is Back ... exciting!!!!! New album will see. Wish they all could work together. The first album and Tusk were my fav. .. Stevie has things and I'm sure some of these guys work better on their own anyway. It will all come together I hope. .. Stevie will be back. She said so! Drama Drama Drama.... Sounds like the begining of "Rumours 2" They're in it to win it! I agree, right now Stevie wants to do her own thing. She did say, she is getting older and doesn't want to spend years with Fleetwood Mac. She might want Dave to produce her songs and that's why she is waiting. Stevie will come thru with new material. Stevie is keeping FM alive and I am sure on the awards it will be announce Fleetwood Mac will be touring. Rock on Stevie. Like in past projects, Lindsey's songs are already mostly done before the girls step in; in this case the tracks he cut with John, Mick and Mitchell Froom. Because Christine's return has changed everything and because she and Lindsey are already involved in an intense studio collaboration, maybe Stevie's waiting for the Lindsey/Christine picture of the album to become clear before she steps in with her material to complement them. Everyone realizes the enormity of what's happening, both emotionally and in terms of commercial potential, and I don't think Stevie's out to "sabotage" things by refusing to contribute material. It's probably just that there's nothing for her to do in the studio at this point because Lindsey and Christine are creating basic tracks. Stevie never disappoints. She is busier and more in demand than the others. Why should she drop her plans and JUMP because all of the sudden Christine is "ready now"? She took 16 years off. Now she's ready and Stevie should just drop everything and jump? No way. She will come to the table with her magic as always - when she's ready. I don't think anyone inside Fleetwood Mac expects Stevie to drop her other projects/interests at this point. The band won't begin touring until September 30th, rehearsals don't start until I think July or August, so there's still plenty of time. Also, we don't really know that Stevie hasn't already given over some tracks. The quotes in these articles from Lindsey about waiting on material from Stevie could have been taken from interviews done a month or so ago. Just because the articles just came out doesn't mean we should assume these interviews were just done. The Today Show appearance was extremely recent, but these other articles could have been written weeks in advance of publication dates. In fact this article has a Lindsey quote that says: "Stevie's been not sure how she wants to approach recording or when." It doesn't say they don't have any new material from her, so we really shouldn't assume she hasn't given them anything. It has been highly publicized Stevie has other commitments this spring - like the Lady Antebellum stuff. Maybe she gave Fleetwood Mac her songs so they could learn them, work on arrangements based on her demos, with the understanding she had prior commitments and would be in the studio as soon as possible. Given Fleetwood Mac took a year to record SYW, given Christine McVie's sixteen-year absence from the band, I don't think anyone should "expect" a fully produced new studio album before the tour. If anything, we may get another EP with a few brand new tracks as a teaser to show off the band's new sound and give us a hint of what the new album will sound like when they finish it. I think there's more drama in the comments here that really exists in the band. Stevie will come through , she always does. She's just busy right now, as we all know. The rest of FM are not so they have the time to begin material for their world tour. Let's give Stevie a bit of a break. Has it not entered anybodys mind that seeing as Lindsay has stated they have only been in the studio for 1 week and been working on Christines songs that there is hardly any point in Stevie being in the studio at such an early stage. Its probably not that she doesnt want to be there, but speaking as a musician, being in the studio days / weeks on end when you have no real reason to be there completely zapps your energy and you loose interest very quickly. How can all these people commenting not realise this seeing as this is one of the main topics Stevie has spoken about regarding recording with Fleetwood Mac. Lindsey, Christine, etc have nothing else to do...Stevie does. And if Lindsey is producing Christine's material..good god, it will be awful. Let's dont HATE on any part of this ICONIC 5 part band. The fact that they have decided to all work together again is the most exciting thing to happen in rock and roll in a VERY LONG time to me. This band is SO phenomenal live, they are stage musicians and live to perform. Thank You Christine, Lindsay, Mick, John, and Stevie for overcoming all the obstacles and finding your way back to each other. GOODNESS is ahead for all of us die hard FMACsters!! Its probably too much to ask for, but I really, really hope Fleetwood Mac's new album sounds more acoustic, sparse and dreamy like the FM of the 70s (i.e. Over My Head, Landslide, Dreams, Sara, Storms, Brown Eyes etc). Much of the material they produced in the 80s seemed gimmicky, exaggerated and self conscious (too much synth, over produced) - and much of Stevie's work (after Bella Donna) went the same way. When it comes to Fleetwood Mac less is definitely more, and I think they could really pull off an amazing, enduring album (especially now that Christine McVie is back) if they can avoid the temptation to funk/dress things up.